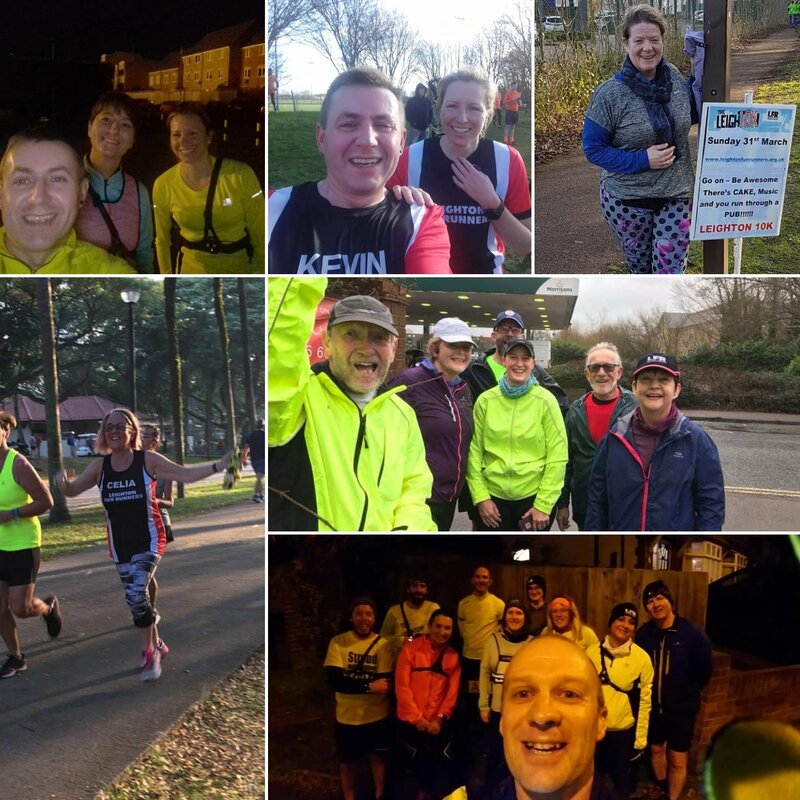 ….a busy weekend of runs! The calendar is filling up with many races and events with LFRs everywhere showing off the red and black. 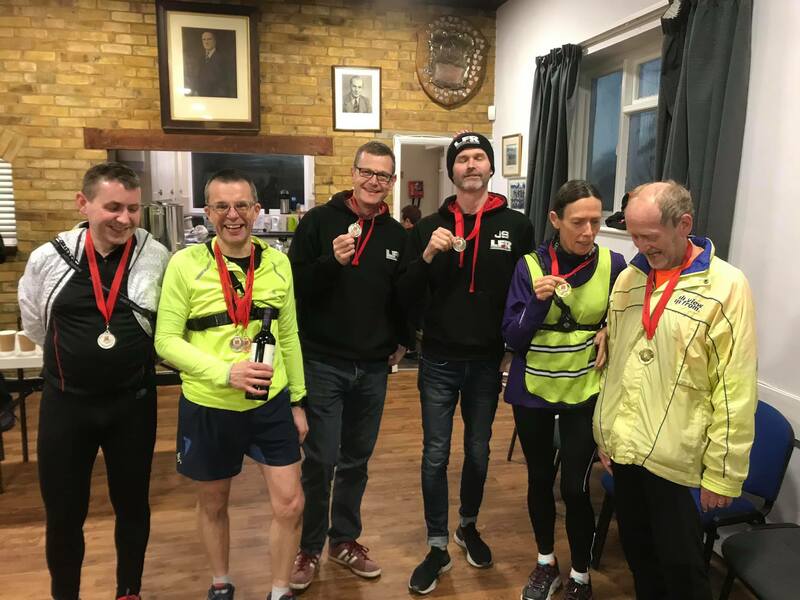 David, Fiona and Jo were at the second Stoke Winter Trail Run. Julie came third in her age category at a wet Welwyn 10K. 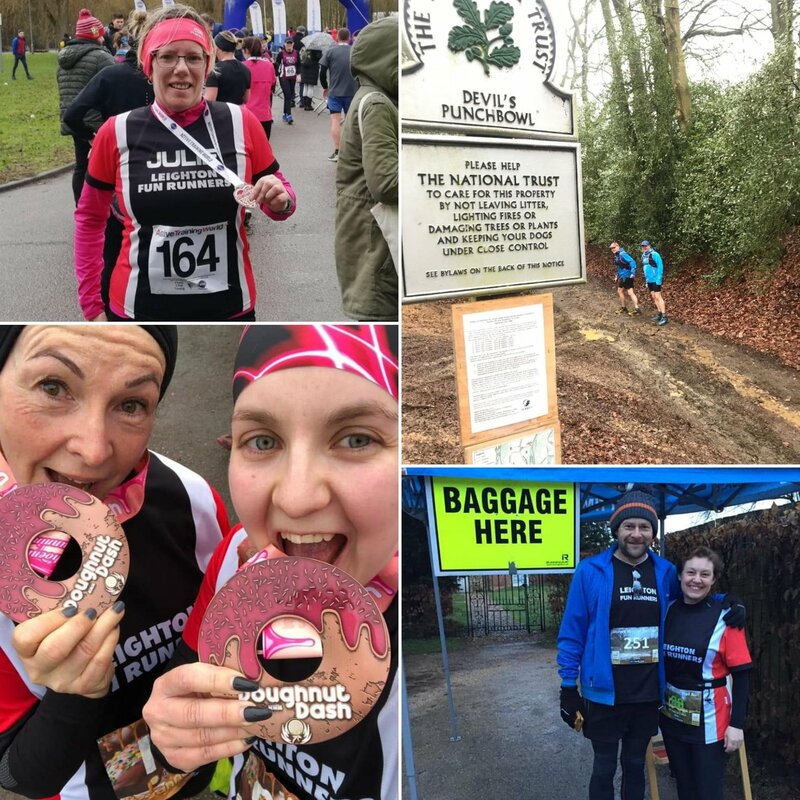 Mother and daughter duo Stephanie and Annis bagged their first medal of the year dashing for doughnuts at the Phoenix Doughnut Dash Half Marathon. Medals look tasty, ladies! And the trail loving ultra-heroes were back in action at the LDWA Devil’s Punchbowl. 30 miles of mud and hills from Helen, Wes, Emma, JK, Ian (who had man flu) and Paul. Superb efforts on a challenging route and day. This all followed a cracking week of club runs, parkrun and training runs from our members including Charlotte and Emma back running completing 19 miles of windy trails on Saturday; Jane, Jason, Barbara, Glynn and Caroline running the Leighton 10 route; Ceila being the furthest LFR away at the East Coast parkrun in Singapore; and Becs and Sandra trying out the fitness equipment at Astral Park. Look out for the next one! It’s a free workout for your cross training needs and a great way of meeting other club members. Shout out this week to Andrew Heale. He was awarded two medals from last months’ cross country championship race (the below also received medals) AND he won the cake night raffle taking home a bottle of wine. Sounds like a great night!